David Jones is a leading sports presenter and host of Sky Sports biggest live football shows Super Sunday and Monday Night Football. He’s fast approaching a decade covering live Premier League matches having served his apprenticeship in a 20 year career at the UK’s number one satellite broadcaster. David has hosted hundreds of live outside broadcasts for Sky from England internationals to cup finals, play-off finals, Champions League games, and the Football League. 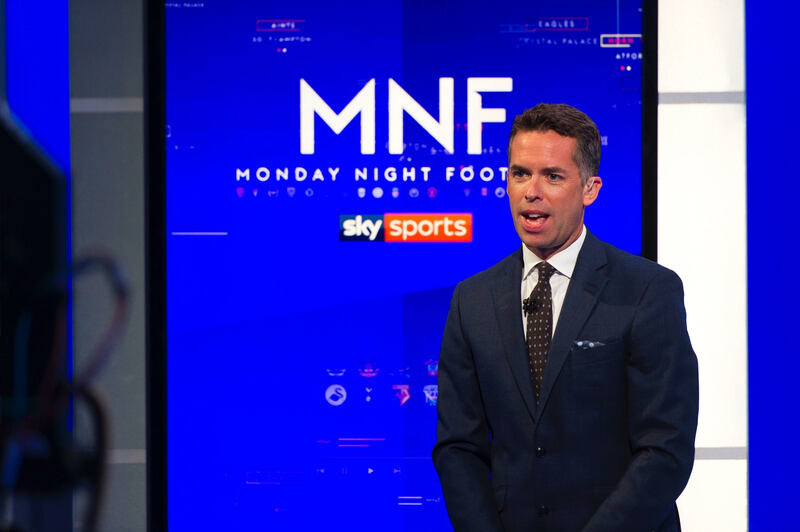 He took over as the host of Super Sunday and MNF in 2016, anchoring the Premier League’s biggest games alongside Thierry Henry, Jamie Redknapp, Gary Neville, Jamie Carragher and Graeme Souness. David was also host and co-producer of The Footballers Football Show, a panel discussion programme which won acclaim for tackling some of the game’s big issues, and now regularly appears on the week nightly Sky Sports show The Debate. His presenting career began on Sky Sports News where he enjoyed a long and successful on-screen partnership with Georgie Thompson. David’s first job in journalism was with the Derbyshire Times newspaper in Chesterfield, working as a news reporter covering crime, local politics and often jousting with the legendary Chesterfield MP Tony Benn. When the local team, Chesterfield FC, reached the FA Cup semi finals in 1997 David was drafted across to the sports desk to help out. That was the springboard which saw him join Sky for the launch of Sky Sports News in 1998, originally as a scriptwriter but swiftly progressing to becoming a reporter and then presenter. David went to Stokesley comprehensive school in North Yorkshire. He completed a post-graduate NCTJ course in newspaper journalism in Sheffield, after graduating with a history degree from the University of Gloucestershire.